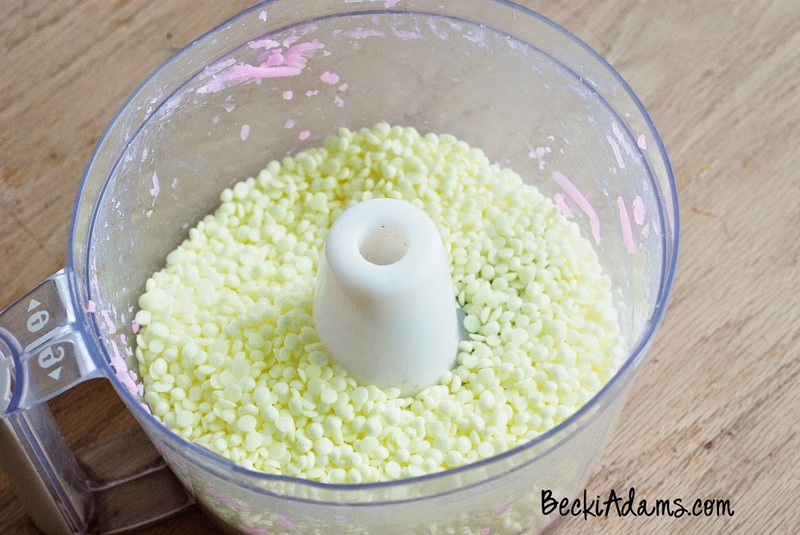 Over the years I've tried a few homemade laundry detergent recipes. I've used a few of them for a few months and then I go back to my old stand by, Gain. I simply love the smell. That's all there is to it. The homemade detergents cleaned our clothes, I never had a problem with them, I just liked the smell of Gain. Well, I recently found a way to get the best of both worlds. 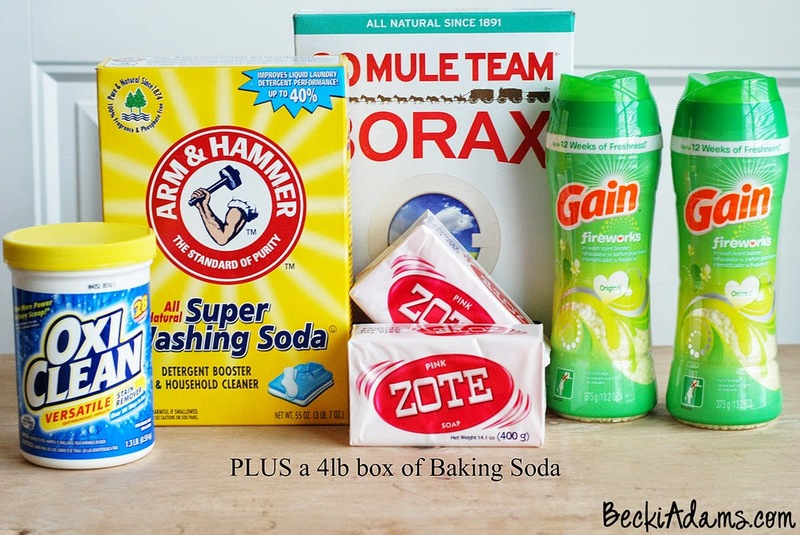 (Less expensive homemade detergent PLUS I get to have the smell of Gain too. When I took the photos I forgot to put the box of baking soda in the photo. 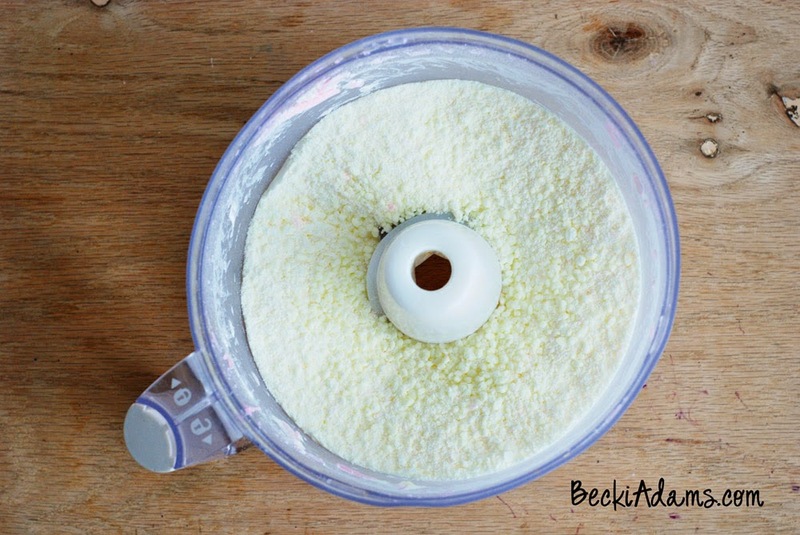 Don't forget to add it when you make your detergent. This time you'll want to use the chopping blade. After about 2 minutes in the food processor your fireworks will look like this: (almost a powder but still a little bit chunky). Now, it's time to mix it all together. 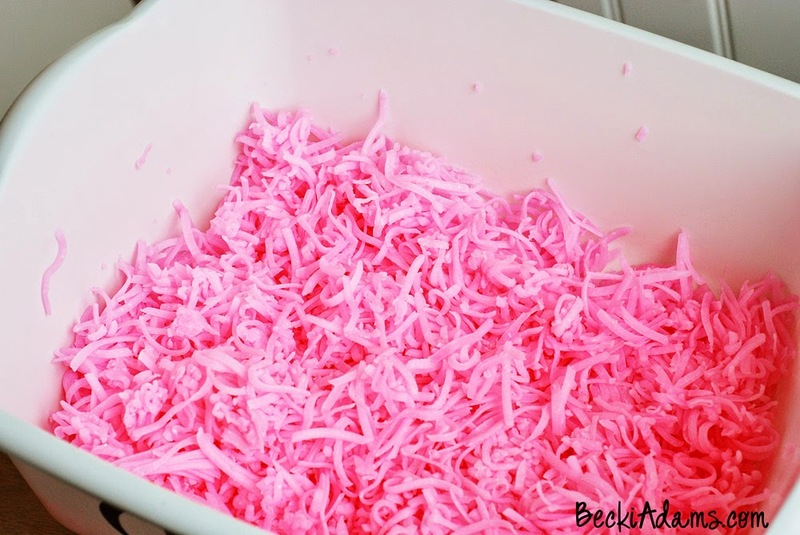 See all those huge chunks of pink...that's why you want to use the small grater, not the big one. 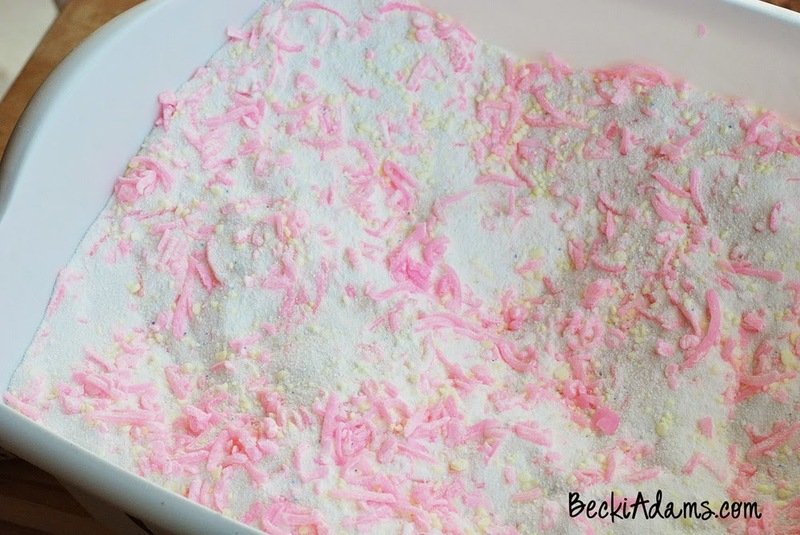 We had to put this entire batch through the food processor (again) to get rid of the pink chunks. It wasn't a huge deal, just kind of a pain. That's it! After you get it all mixed together it's ready to use. 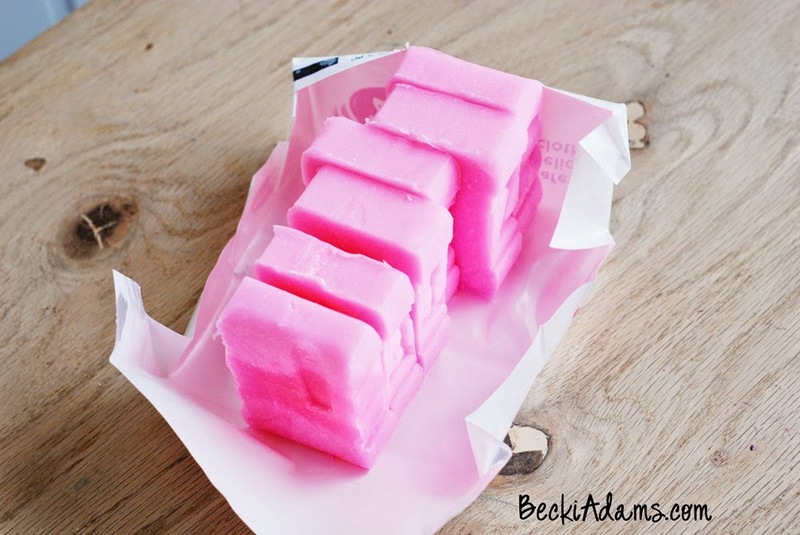 The best part is that you only need to use 1-2 Tablespoons (yes, tablespoons) per load. I've used it in my HE washing machine for weeks now and it works great! 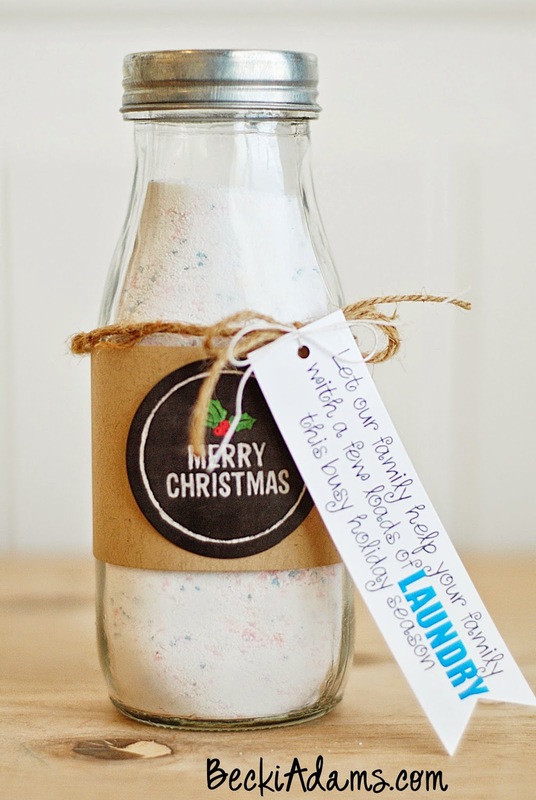 I decided that I'm going to share my laundry soap with my neighbors as Christmas gifts. I found cute milk bottles at Target and I filled them with my homemade laundry soap. On the tag I'll add the directions for usage. I hope they'll like it. I'm always anxious to give a useable-practical gift, you can't get more practical than laundry soap. Here are a couple of different options I found for milk bottles in case your local target no longer has milk bottles. ( * Milk Bottles or * Milk Bottles ). I hope my neighbors will enjoy this very practical Christmas gift. I know I love it! What will you be giving your neighbors this holiday season?